The Strategy Unit works on complex challenges. Our services add most value where the need for innovation and clear thinking is high and the suitability of standard approaches is low. So, in all cases, our support is tailored to the specific needs of the organisations and systems we work with. When and how can working collaboratively as a system deliver benefits not available to single organisations? The Strategy Unit sees significant potential in neighbourhood-based working. We want to use our skills to make the most of this potential. Our services span the innovation and improvement cycle. We help our customers understand challenges, design responses, improve delivery, and evaluate results. In short, we help them ‘Diagnose’, ‘Develop’ and ‘Deliver’. The Publications page shows examples of outputs from our work. The Strategy Unit is born from the NHS and our team is committed to empowering NHS and other system partners to make wise, well-informed decisions that make a real and lasting difference to their local populations. We can help you to address complex and enduring challenges in your system, and to conceive and realise new opportunities. 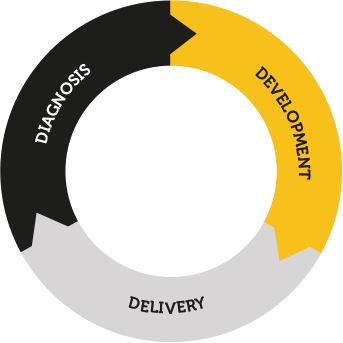 We do not offer pre-packaged ‘solutions’ but work with systems on bespoke, locally appropriate approaches across the three core phases of transformation: diagnosis; development and delivery.